If you and your friends are looking to explore the Czech Republic, Group Travel is a great way to do so. Few things are more fun than a travel experience shared with friends, especially in such an atmospheric location like the Czech Republic. Whether you'll spend most of your time in the bustling city of Prague, or set your sights for the countryside in Moravia or Bohemia, there's a little bit of everything here. Did you know: If you can gather enough people together to book a single group trip to Czech Republic, you can cover your own travel costs! If the group is large enough, hotels and airlines will often "comp" the tour organizer with freebies or big discounts. One common misconception about a group travel experience is that you're stuck with a "one size fits all" itinerary. Not the case - a custom group tour can provide everyone traveling with as much or as little independence as you and the group prefer. You can even have an entire day or two completely open for everyone to do as they please. So if some want to just hang out and drink beer in Prague, while others want to do daytrips to the spa country, everyone gets to do what they want. A custom group vacation built by an expert will make sure you have the proper balance of structured group time as well as unstructured free time. 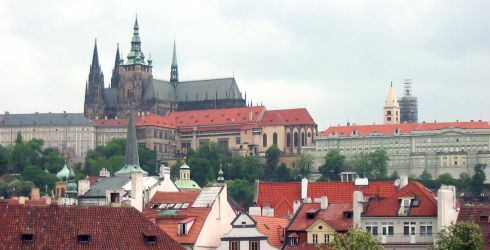 Choosing the right travel professional to work on a Czech group travel itinerary is an important decision. Knowledge is important, but firsthand experience is invaluable. Great destination knowledge is a start, but they also need to understand the nuances in planning group travel vacations. Groups have different needs, but also have some advantages that an expert can help you make use of. This trip affords an interesting contrast between two unique European cultures. The Netherlands delights with its dreamy canals and colorful flower markets. Its history centers on the merchants and fishermen who leveraged the city's location and waterways. Prague awes visitors with its impressive Castle and Charles Bridge. Once part of the mighty Habsburg Empire, the architecture fits its past as an influential city. View the complete day to day Amsterdam & Prague Itinerary. Discover the hidden gems of Eastern Europe on this in-depth tour of the highlights of the former Iron Curtain countries. Learn the history of this region from life in medieval and Gothic castles to the Warsaw Uprising through the Cold War. Stroll the Old Town heritage areas of Eastern Europe's main cities and visit serene parks. Eat at local traditional restaurants and bakeries, some of which have been in business for over 100 years. View the complete day to day Eastern Europe Itinerary.